!!! GET EVERY 4TH DAY FREE STAYING !!! Featuring a seasonal outdoor swimming pool and a fitness centre, Armenian Royal Palace is located in Yerevan and is 7 km from Armenian Opera and Ballet Theatre. Built in 2008, the property is within 7 km of Republic Square and 5 km of Armenian Genocide Museum. The hotel offers a european restaurant as well as free WiFi. At the hotel, every room has a desk, a TV and a private bathroom. The rooms feature a wardrobe. 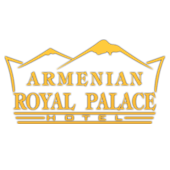 Guests at Armenian Royal Palace can enjoy a buffet breakfast. The accommodation offers a barbecue. Languages spoken at the reception include German and English. Yerevan Brandy Factory is 6 km from Armenian Royal Palace, while Sergei Parajanov Museum is 6 km from the property.